Takayama is a small charming plaza famous for its well-preserved quarter with Edo-style streets, surrounded by mountains. 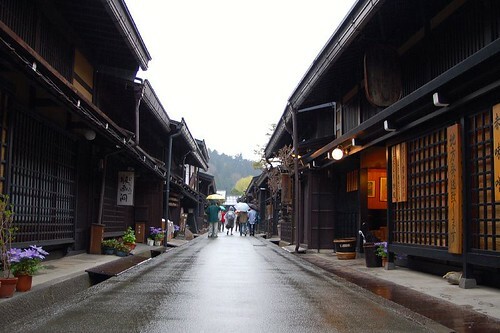 This time I feature access info to Takayama from various places in Japan. 1) From Tokyo by Shinkansen Hikari (Nozomi) and limited express Wideview Hida via Nagoya. Basically the Japan Rail Pass applicable all the way. In order to take Nozomi99, you need to pay the full fare even if you have a JR pass. *1: ( ) stands for departures on weekends. 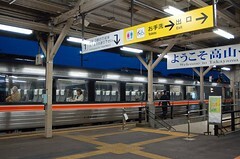 *2: Hida25 runs from Osaka to Takayama directly. All schedules are departures except for ones at Takayama and Himeji(arrivals). 3) To Tokyo by limited express Wideview Hida and Shinkansen Hikari via Nagoya. The Japan Rail Pass is applicble on all the trains below. 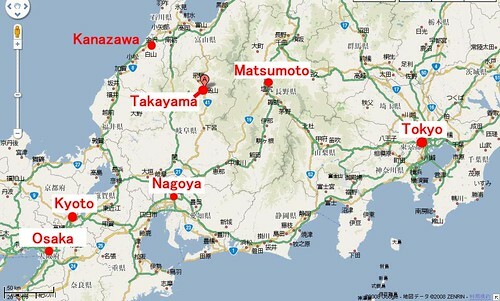 Schedules are all arrivals except for ones at Takayama, unless specified (Nagoya). Hida36 runs directly from Takayama to Osaka. 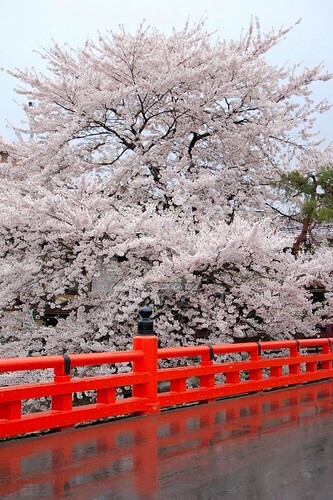 All schedules are arrivals except for ones at Takayama, Nagoya, Shin-Osaka and Himeji(departures). * Purchase the ticket by 4 days prior to departure after making a telephone booking. You can also purchase the ticket at a ticket counter in any JR stations, or major travel agencies e.g. JTB. Great info. Thanks for the work. 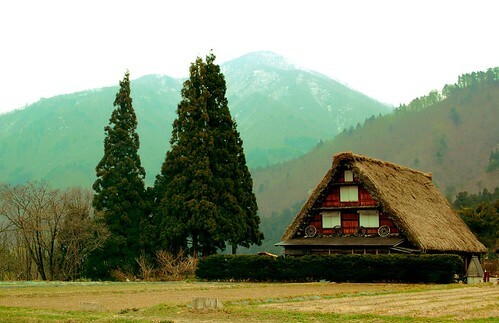 I actually preferred planning my trip from Fukouka and JR-Passing to Kanazawa then taking the Nohi bus to Shirakawa-go. 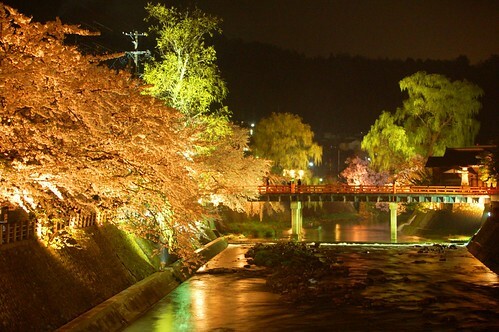 However, my friends want to go to Shirakawa-go from Tokyo instead so ...going through Takayama is what we're gonna do.